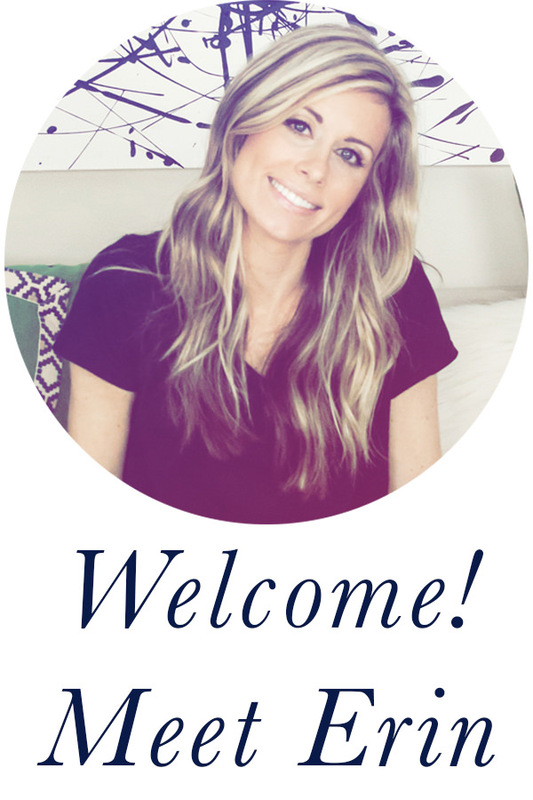 I recently posted a photo on Instagram of some pom pom garland that I was working on, and you may have also noticed it in our family room when I posted my Christmas home tour. 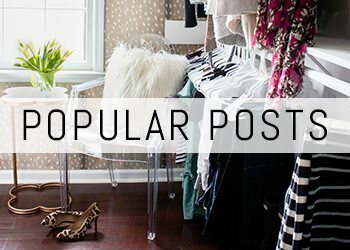 A few of you requested a tutorial, so here you go! 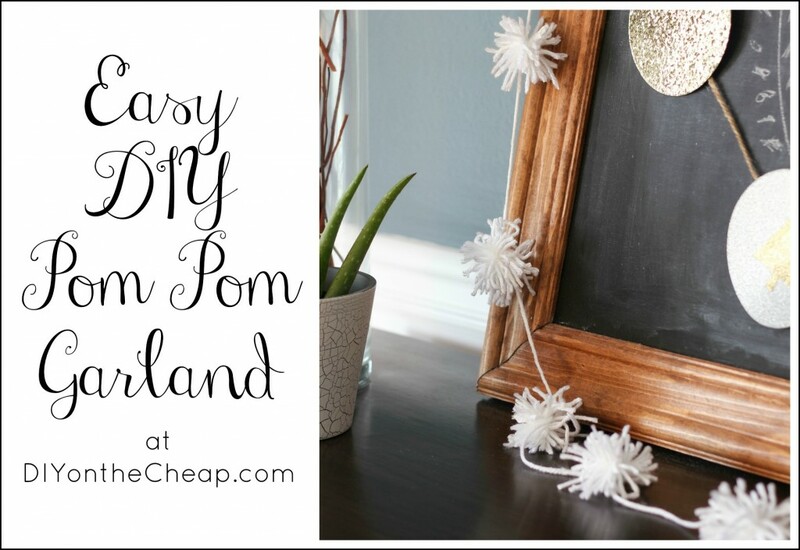 This easy DIY pom pom garland really is simple to make. 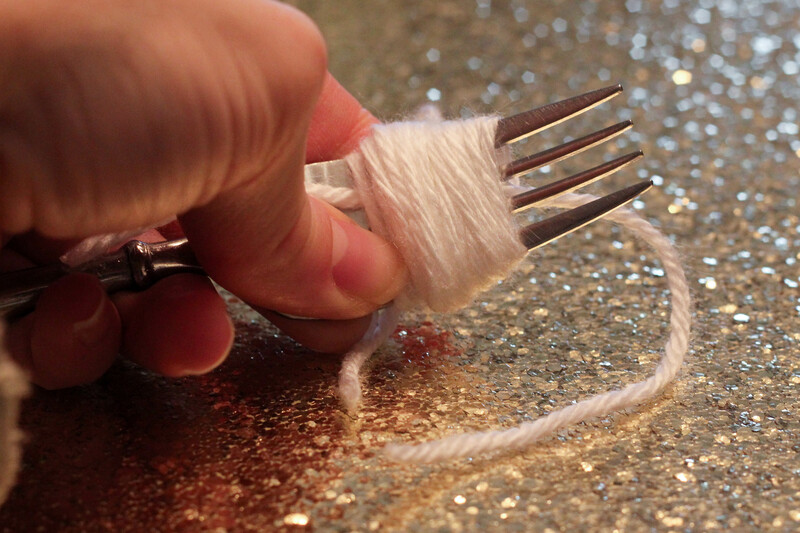 Next, wind yarn around the fork prongs (40-50 times), leaving your short strand of yarn in the middle so the yarn winds around that too. Then, tie your center strand of yarn in a tight knot around the rest of the yarn. 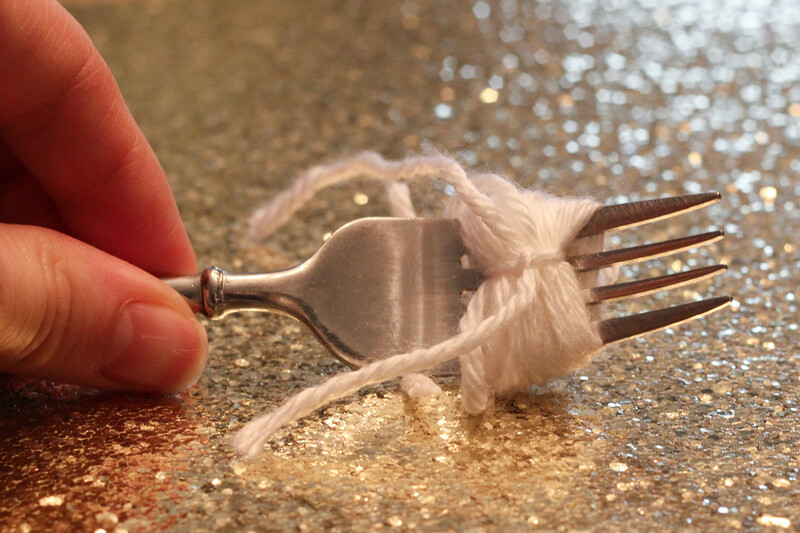 Slip the yarn off the fork, then insert your scissors inside the loop of yarn and snip it in half. 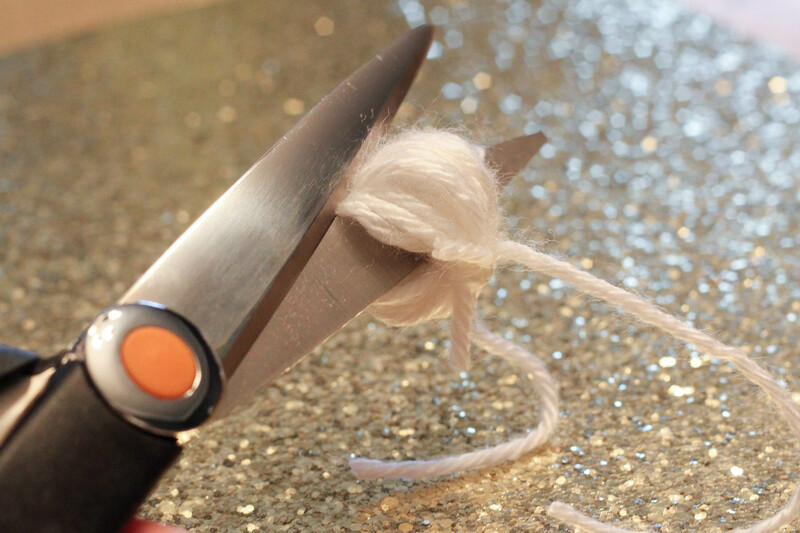 Fluff your yarn out into a pom pom shape, and take the little strand of yarn that you tied around the center of the pom pom and tie it to a long piece of yarn (mine is about 5-6 feet long). 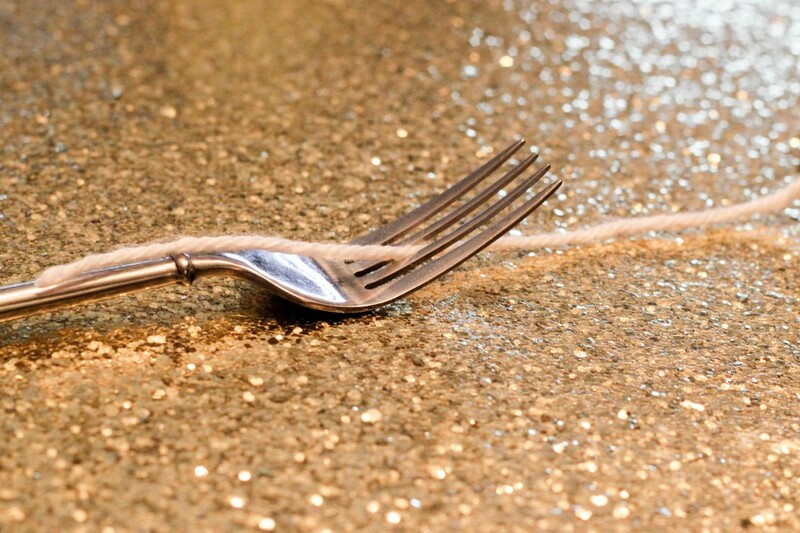 Tie it in a knot and snip away the excess. 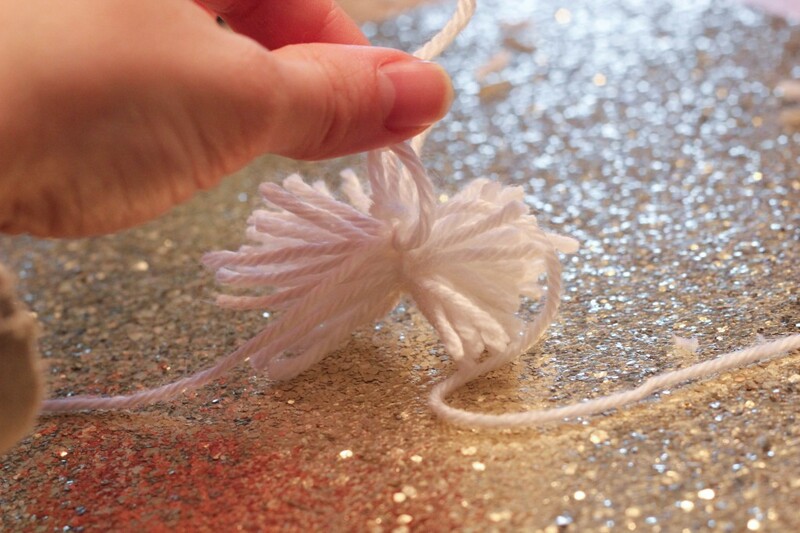 Attach as many pom poms as you’d like to your garland, depending on how long you want it to be. I spaced my pom poms about 6 inches apart. That’s it! You’re done. Now hang your garland and enjoy! Here’s a little pinnable graphic for you if you want to save this tutorial for later. 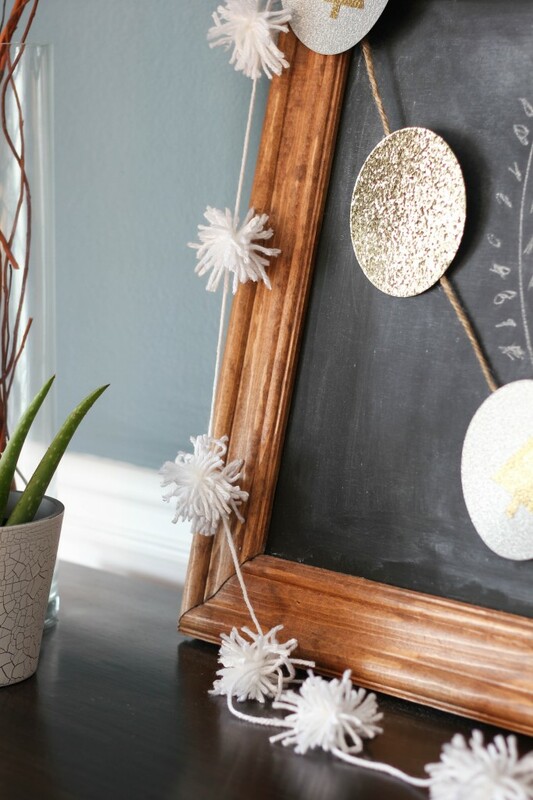 Will you be making any pom pom garland for the holidays? 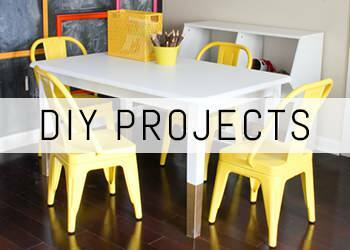 It really is fun and easy to make!